Manny Pacquiao has agreed to terms for a long-awaited super-fight with Floyd Mayweather on May 2 in Las Vegas, Top Rank, Pacquiao's promoter, told ESPN.com on Tuesday. 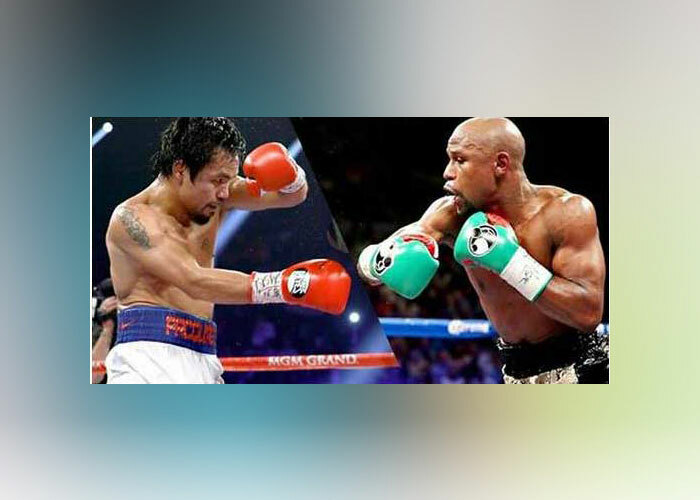 The fight the world has wanted to see for the better part of six years -- a long-awaited summit meeting between welterweight champions Floyd Mayweather Jr. and Manny Pacquiao, the two top boxers in the world -- is not done, but it has cleared a major hurdle. Pacquiao and Top Rank, his promoter, have agreed to terms for a May 2 bout, Top Rank vice president Carl Moretti told ESPN.com on Tuesday night, although Mayweather has not yet agreed to terms and it remains to be seen if he will. "Top Rank and Manny have agreed to the terms on our side. I don't know about the other side," Moretti said. 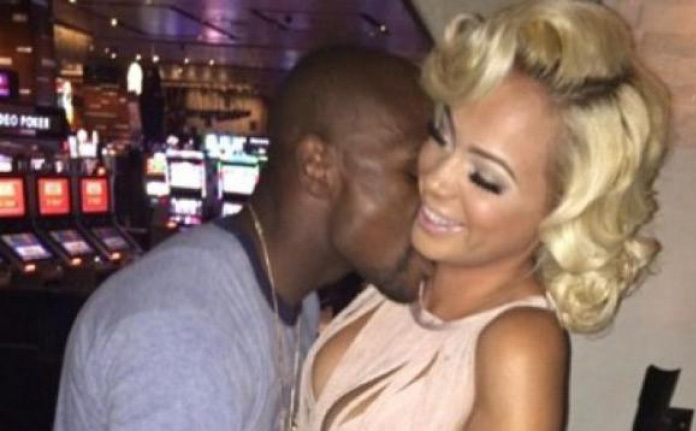 Nobody from Mayweather's camp could be reached for comment. Yahoo! Sports initially reported the development. Top Rank chairman Bob Arum has been negotiating the bout for the past couple of months through Leslie Moonves, the president and CEO of CBS, which has two fights left on a six-fight contract CBS and subsidiary network Showtime signed Mayweather to in early 2013. Moonves, according to Arum, has been acting as a go-between in trying to hammer out Mayweather's end of the deal with adviser Al Haymon. According to a source involved in the negotiations Pacquiao has agreed to a 40 percent cut of the revenue, leaving Mayweather with the remaining 60 percent of a fight most believe will shatter every boxing box office record, including the all-time pay-per-view buy record of 2.4 million (Mayweather-Oscar De La Hoya), the pay-per-view revenue record of $150 million (Mayweather-Canelo Alvarez) and the all-time gate record of $20 million (Mayweather-Alvarez). If the fight is finalized it would take place on May 2 at the MGM Grand Garden Arena in Las Vegas, Moretti said. Mayweather has had his last 10 fights there and Pacquiao has had five of his last seven bouts there. Top Rank initially wanted to go in June to leave May 2 open for another major fight it is trying to finalize -- middleweight champion Miguel Cotto against former junior middleweight titlist Alvarez, a date Alvarez desperately wants to fight on because it is Cinco de Mayo weekend and he is Mexico's most popular active fighter. 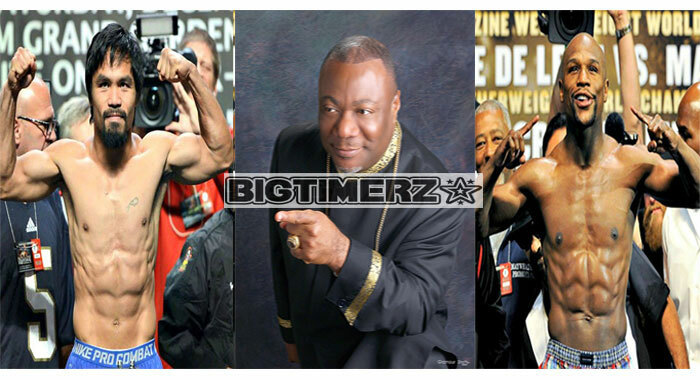 But Top Rank gave in on the date, one which Mayweather has insisted on, along with a host of other aspects of the fight. The sides are so far along that they have drafted contracts, according to the Pacquiao side. While the Pacquiao camp agreed to terms, the attorneys on Mayweather's side indicated that there were still open issues, although what they are is not clear, according to a source. 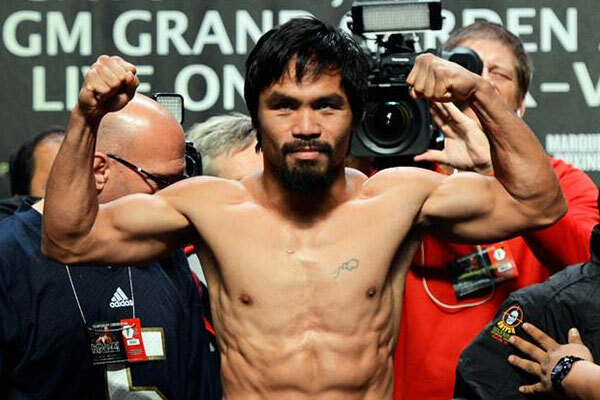 According to the Pacquiao side, everything was agreed to, including the gloves and drug testing. As far as the gloves go, each fighter would be able to select their own brand of 8-ounce gloves. Mayweather typically wears Grant gloves and Pacquiao fights in Cleto Reyes. The drug testing protocol was the one open item that caused the fight to fall apart when it was first negotiated in late 2009 and early 2010. Mayweather wanted Pacquiao to submit to random Olympic-style drug testing and he declined to do the kind of testing Mayweather (47-0, 26 KOs), who turns 38 in February, wanted. However, Moretti said that Pacquiao (57-5-2, 38 KOs), 36, who has subjected himself (and his opponents) to random testing by the Voluntary Anti-Doping Association for his recent bouts, has gone so far as to agree to use the United States Anti-Doping Agency, which has randomly tested Mayweather (and his opponents) for years. "I think that Manny agreed to USADA testing shows you his eagerness to make this fight," Moretti said. Mayweather and Pacquiao have been on a collision course since late 2009. That is when Mayweather ended a nearly two-year retirement to easily outpoint Juan Manuel Marquez in September 2009 and two months later Pacquiao knocked out Miguel Cotto in the 12th round to win a welterweight title. Everything had been agreed to but the drug testing, including a 50-50 revenue split. There have been various attempts over the years to try to make the fight, but it has never been as close as it was in 2009 as it is now. Back then, Mayweather and Pacquiao were both associated with HBO, even though neither was under contract. In early 2013, Mayweather signed his contract with CBS/Showtime and still has two fights remaining with guarantees of at least $32 million per fight while Pacquiao is now under contract to HBO/Time Warner. Still, the networks are not an impediment to a deal. 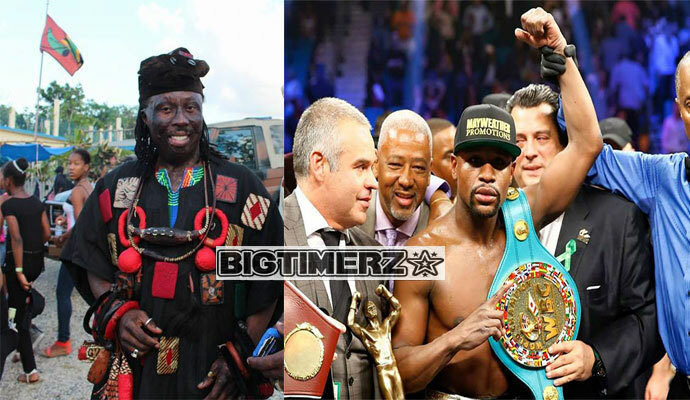 Both networks have said that they are willing to work together for what would be a joint pay-per-view telecast, similar to what they did for another fight that had been demanded by the public for years -- the 2002 heavyweight championship fight between then-champion Lennox Lewis, who was under contract to HBO, and Mike Tyson, who was with Showtime.